The fire is on between Mega Brother Naga Babu and Nandamuri Balakrishna. It is known that Naga Babu has recently spoke in one of the interview about Balayya. The Mega Brother has simply said he doesn't know Balakrishna. 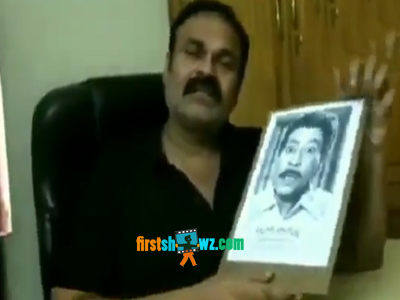 This irked the angry fans of Balayya and began trolling Naga Babu in Social Media. While there is a reason behind Naga Babu's statement on the Nandamuri Actor too, in a recent interview, Balakrishna has also said he doesn't know Pawan Kalyan when an Anchor probed about him. Without caring on the trolls made on him, Naga Babu has once again came live in his Social Media Account and apologizes about his controversial statements on Balakrishna. Continuing his innocence statement, he also mentions that he has really forgotten about the great Telugu Comedian Valluri Balakrishna. Lets see, how Balakrishna reacts to Naga Babu's comments in coming days.